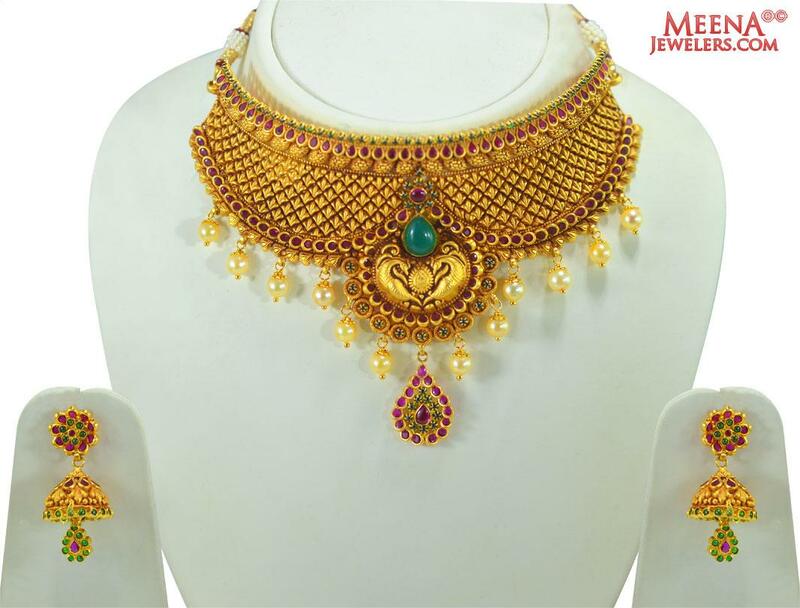 Exclusive 22 KT Gold Temple Choker necklace and earring set, magnificently designed in Antique finish with embossed Goddess Laxmi in the center with filigree designs on the sides. 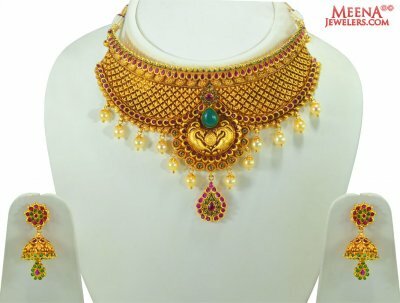 Necklace is studded with red and green colored stones in combination with beautiful hangings of gold balls. 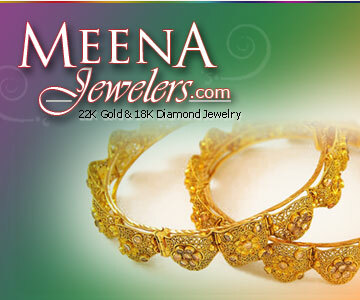 Earrings type: Earrings are designed in a Jhumki style. Earrings have screw back post. Note: An adjustable dori/thread is attached to the necklace. Necklace set is 4 inches long and 75 mm wide. Earrings are 45 mm long and 16 mm wide.